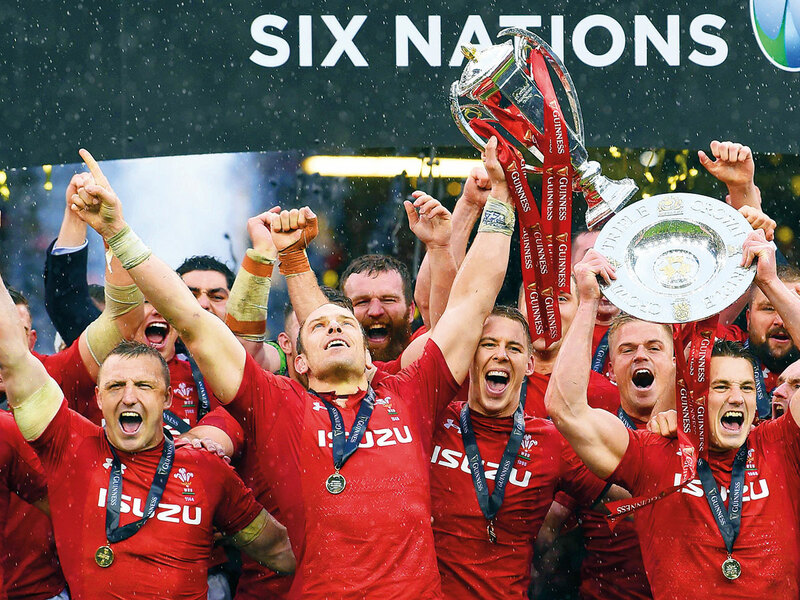 Cardiff: Wales’ romp to the Grand Slam and a first Six Nations title in six years has elevated their chances in the eyes of many at this year’s World Cup in Japan as coach Warren Gatland instills a confidence that has them fearing no challenge. “I don’t want to be too romantic about it with him sitting here but he (Gatland) alluded to the fact that when you’ve got someone so confident at the top of the tree, that filters down and it’s hard to ignore,” Wales captain Alun Wyn Jones told reporters. “It’s easy to say off the back of a win but we’ve come under some pressure over the years, when it has been backs against the wall and it takes a certain type of character to come through the mire. He’s pretty much the guy who has done that.” What Gatland has built in the last 12 months, on his way to 14 Test wins in a row, is a squad of with new depth, weaving in younger players full of enthusiasm for the challenge along with the older, more experienced guard. “I don’t know if I’m getting soft in my old age or if it’s because I’ve got kids now but when you see young men come into the side and grow over an eight-week period, you feel proud,” Jones says. “The message before the game was very simple be proud of what you represent, who you are and where you’re from. If you work hard enough, you get your rewards,” Jones said, a mantra they will carry to Japan. Gatland has announced that he will be leaving his post with Wales after the World Cup, where his side have been pooled with Australia, Georgia, Fiji and Uruguay.